Find all the application and sponsor forms you will need for this years event. To make it easier, this year we have added the ability to make all of these applications online to save you having to download, complete and then send these forms back to us - please see the &apos;Take Part&apos; section. Of course, if you'd prefer to do it on paper, then you can get everything you need here. Details about this exciting event at Strutt Your Mutt 2018. Find out about the games dogs and their handlers will take part in to find this year's champion Super Dog. Volunteer registration form and expenses claim form. For your convenience you can alternatively complete all this form online to save you downloading, printing, completing and then sending it back to us. 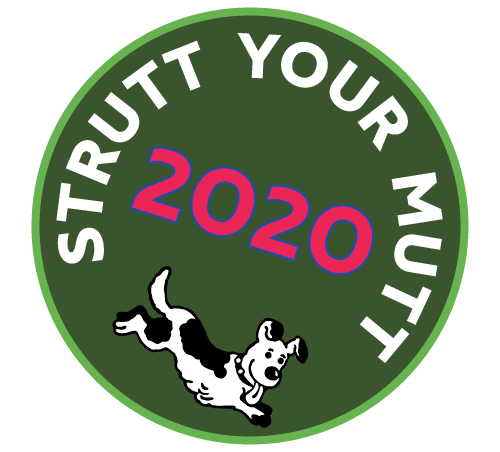 Strutt Your Mutt walk and ticket application form. For your convenience you can alternatively pay for your tickets online to save you downloading, printing, completing and then sending it back to us. Use this form to collect sponsorship for the Strutt Your Mutt walk. Use this form to register your company or team so that you can get sponsorship for the walk together. Application form for Trade and Food stands for Strutt Your Mutt 2018. For your convenience trade stand applicants can alternatively complete this form online to save you downloading, printing, completing and then sending it back to us.